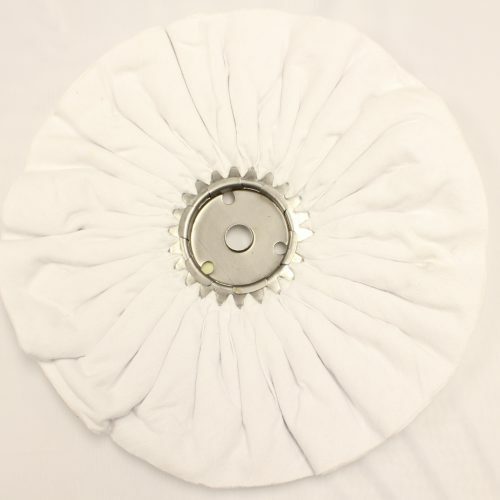 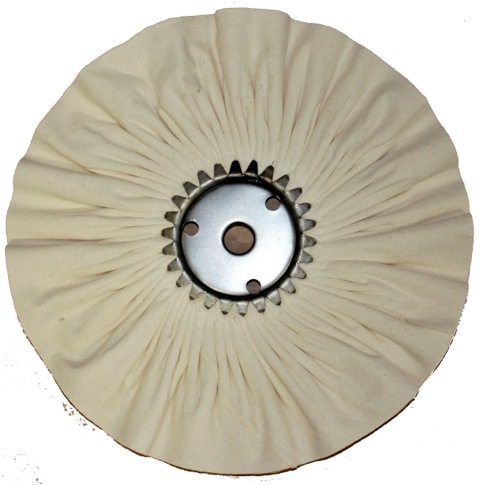 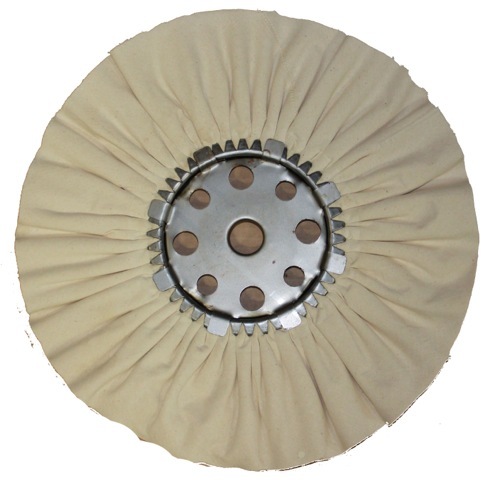 Our 16” diameter 60/60 cotton airway buff is designed to remove the final sanding marks on wood coatings, including lacquer, polyurethane and polyester. 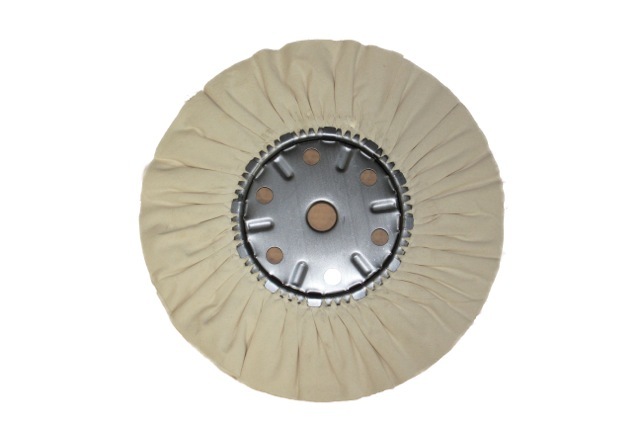 Typically used with Menzerna compounds 113GZ or P204 to prepare the surface for final polishing. 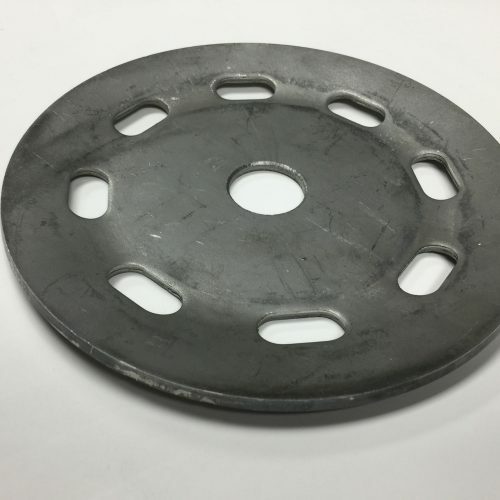 Fit arbors of 1.25” diameter, and requires flanges of 8” to cover the 7” metal center plate (not included).